Quick response codes are now being used to help to assist foreign visitors to understand the attraction. Though Tokyo One Piece Tower was first opened in March, it wasn’t until just recently that QR codes were added to the attraction in order to make it easier for tourists from other countries to be able to understand what’s going on. One Piece is a massive international sensation but not everyone who likes the series speaks Japanese. The manga based anime series has hundreds of episodes and is loved by fans around the world. Tokyo One Piece Tower is an attraction that was created in order to provide fans with a place to visit and share in their love of the series. However, until now it has created a struggle to visitors who don’t understand Japanese, let alone being able to decipher kanji (written Japanese characters). Now QR codes are about to change that struggle by opening up the experience to languages outside of Japanese. The QR codes have been added to 28 different signs located around the tower so that translations can be obtained. These quick response codes have been added above and beyond the bilingual crew members who have been hired by the attraction. Those employees wear color-coded badges so that visitors from other countries can look for the color that aligns with the language that they speak. While this will be helpful, the QRcode option will make it possible for visitors to be able to help themselves when they stop at any of the different barcoded signs. The 28 signs can be scanned through the use of a smartphone with any free reader app already installed and open. When the barcodes are scanned, they display a translation of the sign’s original message in the language of the smartphone of the user. This allows the language to be automatically detected and selected for the user. 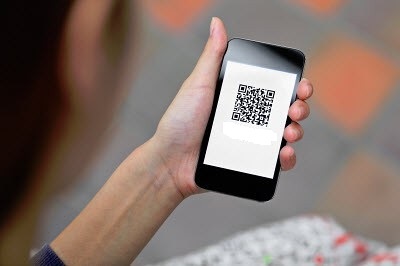 Upon the launch of the QR codes, the translations were available in any of twelve different languages, which included: English, French, Spanish, Italian, Portuguese, German, Traditional Chinese, Simplified Chinese, Indonesian, Korean, Malay and Thai. There are English, Traditional Chinese, Simplified Chinese and Korean guidebooks that are also made available to visitors.